﻿ 1893. [Draft historical map, with notes]. 1893. [Draft historical map, with notes]. 1893. 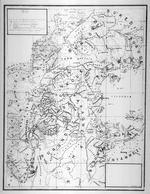 Draft historical map, with notes.